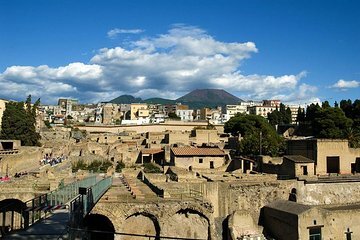 The UNESCO-listed ruins of Herculaneum are often missed out by visitors to nearby Pompeii, but the ancient site is home to some remarkably preserved Roman ruins. This 2-hour private tour lets you explore at your own pace with a private guide to point out highlights such as the Roman Baths, Gymnasium, and House of Neptune and Amphitrite. The site was outstanding the tour OK and the guide rather pedantic and uninspiring. Still worthwhile given the length of time we had to spend there. One of the best tours we've taken thus far. Our tour guide was Pia hope I spelled that right, and she's outstanding! Not only did she provide us with a great tour, but she also has some excellent tips for our follow-on visit to Pompeii. 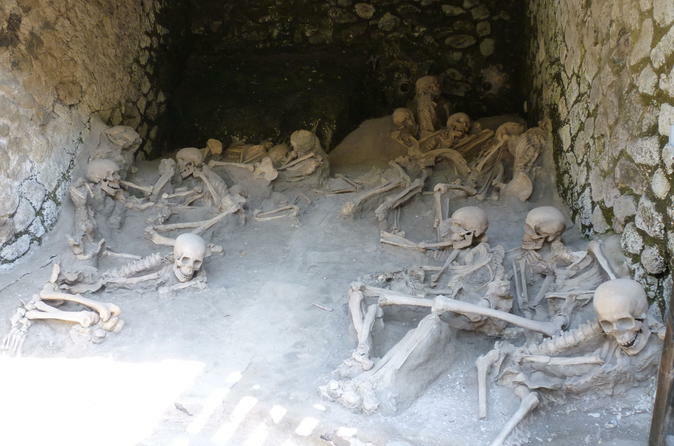 This is a great way to see Herculaneum. Tip: The address which is provided as the meeting point takes you to the old front entrance on Via Mare. Don't go there! There's actually an expansive parking lot off Via Plinio, and a short walk to the ticket sales.